At just four inches when full grown, the Bog turtle (Clemmys muhlenbergii), is the smallest turtle in North America. 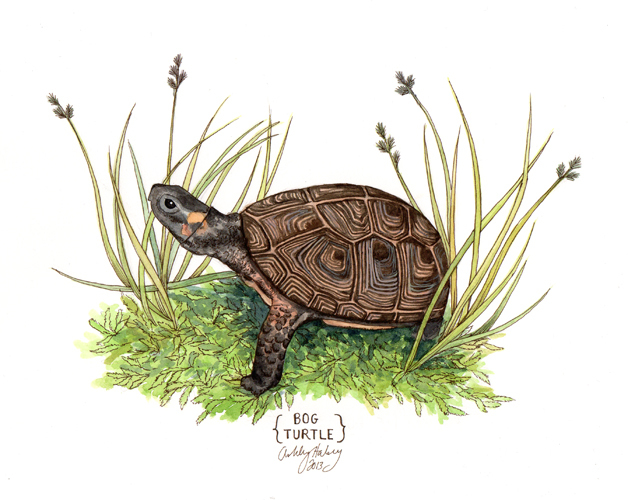 As its name suggests, the Bog turtle can be found in swampy areas and marshy meadows along the Eastern seaboard of the United States. They can easily be identified by the distinctive bright yellow, orange or red blotch on each side of its head.